For the woman who wants to lengthen the appearance of her fingers would do well to consider marquise engagement rings. 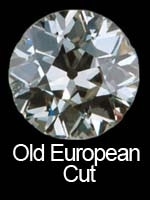 These brilliant-cut stones also maximize carat size to give the impression the stones are larger than they really are. This style of engagement rings makes a powerful statement for all that gaze upon t while it rests on her finger. This long and slender stone has a colorful and romantic history. Let’s go back in time to 18th century France, where King Louis XIV requested his jewelers create a diamond to replicate the smile of his sweetheart, the lovely Marquise de Pompadour. The points on either end of the marquise cut repeat the corners of the Lady’s mouth. The King was pleased, and who can blame him? He secured the love of his woman and gave the world a most beautiful new adornment. There are some issues to consider when shopping for marquise engagement rings. First, many believe this stone is best displayed with additional stones or baguettes on either side. Barring that, a wedding band that wraps around the diamond is a unique way to show off this unique cut of diamond. Also, the proportion of a marquise-cut diamond varies. It can be very thin and long, or slightly rounded. Many jewelers believe the most elegant proportion is a length-to-width ratio of 1.75 to 2.25. Your diamond expert can show you a range of stones in this realm. This diamonds cut bear a stone that is multi-faceted and unlike other cuts, the marquise cut displays a unique “bow-tie” effect when light enters the facets and dances around the spectrum of color. For the woman who wishes to display wispy, long fingers and an impressive stone to match, marquise engagement rings should be high on her list of options. This entry was posted in Glittering Diamonds on November 8, 2009 by admin.